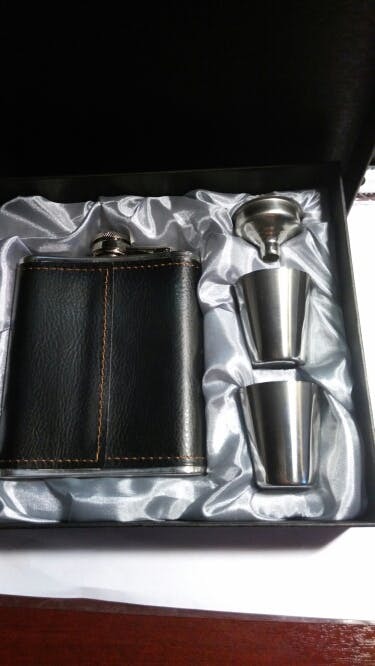 HipFlask™ - Luxury Stainless Steel Whiskey Flask! "After reading tons of spectacular reviews, I knew I had to get my hands on one for myself. The flask is great. A high quality flask that pours great and does justice to the best of spirits. I love the additional cups and funnel and the leather wrapping that gives it an nice genuine feel. 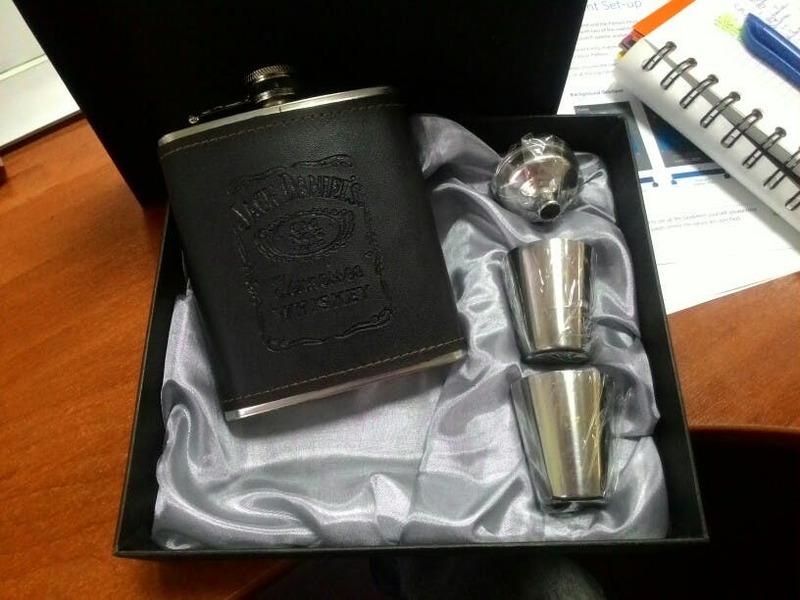 Overall, I'd highly recommend this flask to anyone looking for something luxurious and versatile." 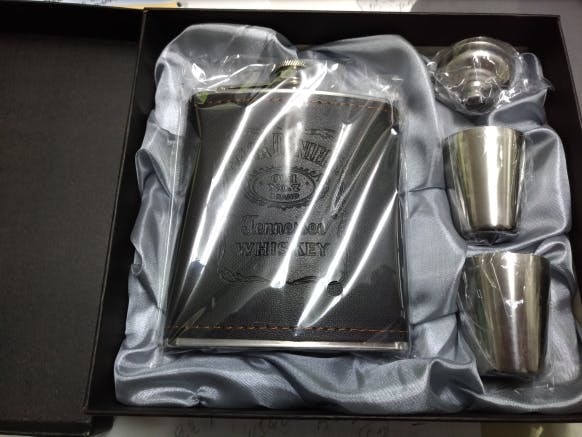 hGrab your Discounted HipFlask™ - Luxury Stainless Steel Whiskey Flask while the store LAUNCH DISCOUNT is on! Once we reach 300 unit sales, we will be increasing the price back up to $59.95 USD. Instantly elevate your style and enjoy your favorite beverages with this one glamorous product! Specifically designed to harness mouth-watering refreshments inside of premium quality materials, this is not something you want to miss out on! Allow us to introduce you to The Hip Flask, a brand new flask that is guaranteed to allow you to keep your favourite 8 ounces at your side at all times. Beautifully designed, this flask is as luxurious as it is convenient. 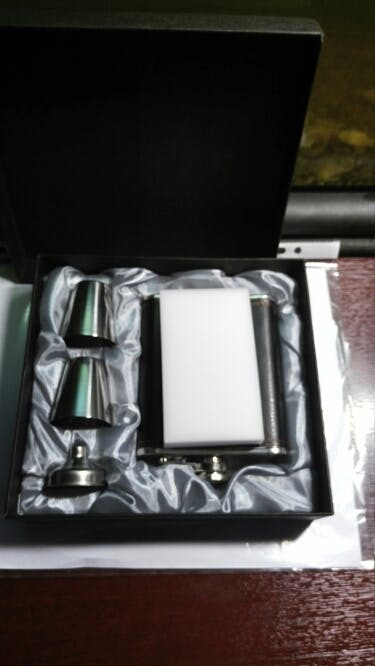 Once you receive your order, you'll quickly find your high-quality flask, 2 shot glasses and an additional funnel so that you can effortlessly pour those tasty drinks. Each made out of pure stainless steel, you can be 100% sure that your flask was built to withstand repeated everyday use without ever showing a bit of wear. And thanks to the plush leather wrapped around the body, you can easily maintain a solid hold of your flask no matter how much you have to drink! An absolute essential in every gentleman's collection, it is easy to see why this is such a fan-favorite! 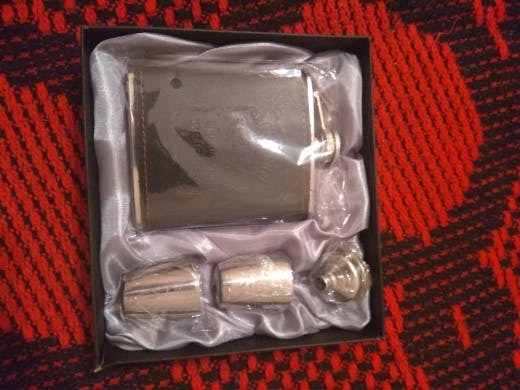 Grab your very own Hip Flask now because we're letting it go for 50% off retail price! 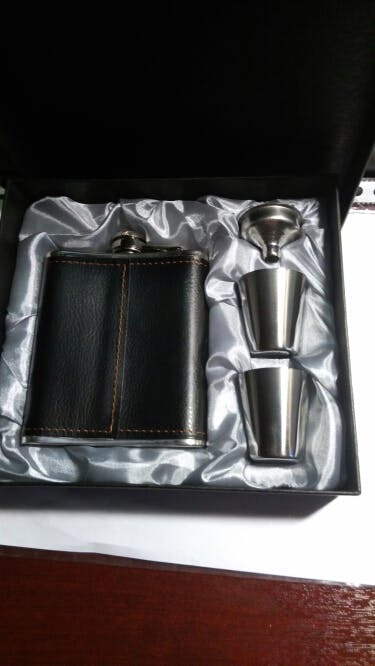 ﻿Innovative yet classy, this stainless steel flask is guaranteed to allow you to enjoy your favorite beverages in style! Made out of the highest quality materials that we could get ﻿our hands on, this fabulous product is proven to resist wear from repeated everyday use, ensuring you a flask that will last a lifetime. Equipped with 2 stainless steel cups and an additional stainless steel funnel for efficient use. It arrived on time. It was perfect no scratches. It was exactly what I wanted. I turned out to be an awesome gift! i got this for my husband for Father's Day. He likes JD Single Barrel, and now has a convenient carrying device for his drink on the golf course. i think the only issue one could ever have with this product is making a bad choice of what to put into the flask! I bought this as a Christmas present for my sister since we love Jack Daniels. It is the cutest flask ever! It is small and stylish but still gets the job done. It is compact enough to sneak into baseball games yet it provides a great 6 ounces of Jack to drink. The funnell comes in handy as well. A perfect refill every time. Highly recommended! I bought this as a gift for my brother. He loved it! Especially the funnel to help fill the flask without spilling.